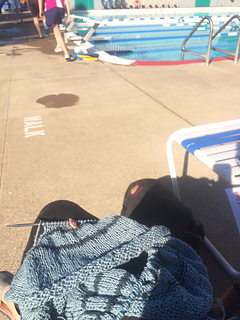 7/12/15 getting ready to join the third skein after the 9th CC row. 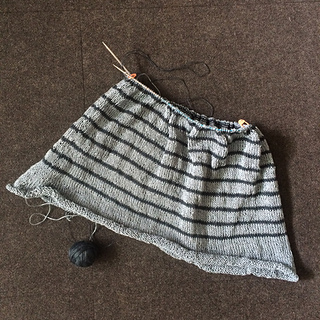 Only two more CC rows before starting in the arm shaping. A lovely pattern to work on in the car or by the pool during swim team.